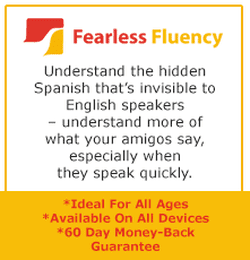 60 Day Money-Back Guarantee – If you’re NOT thrilled with your new confidence and ability to communicate with your amigos, get a full refund. "I am six weeks shy of turning 69 years old, and I am going to be pretty fluent in Spanish thanks to you!" "Once in Mexico I found myself speaking the language. I was so excited I was almost beside myself."